Receive notifications whenever your favorite players are competing in a tournament match. 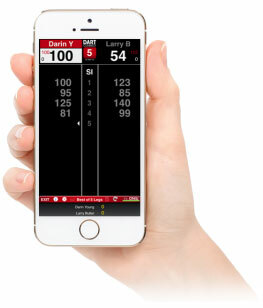 Instantly link to LIVE DartConnect TV scoreboards to follow every turn in real time. No need to search a tournament match list or refresh a bracket, trying to determine who plays when. DCTV Fan Alerts is the free service that ensures you will never miss a dart! Ready to Receive Fan Alerts? Sign up for your FREE guest account! Give Friends & Fans the Ability to Follow You! Type part of the first and last name of the player you're looking for below, then click them to add them to your follow list. At any DartConnect event, fans and friends can receive an email notification when their favorite player is warming up for a match. After the match is complete, this same email will link to the match report. Don't see your favorite player in the DartConnect Fan Alert list? Ask them to join DartConnect so that you can share in their quest for the championship! Set Your Apple or Android Device to notify you of every Fan Alert Email. © DartConnect & Richard Barrington-Hill. All Rights Reserved.